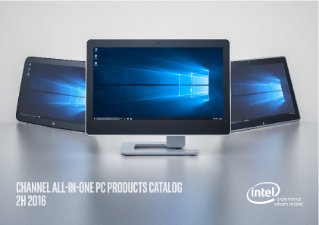 All-in-One (AIO) PCs combine compelling design with support for a wide range of computing components. Integrate the appropriate blend of components with the AIO chassis of your choice to enable a variety of computing environments. The thin Mini-ITX platform is fueling the transformation of the desktop. Built around the standard thermal solution and a motherboard with a 25mm I/O shield, this ...platform gives users the power of a desktop in a thin, stylish package.